Hello all and thank you so much for stopping by today. 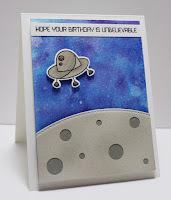 I am super excited to be participating in today's MFT DT Challenge: Release Replay. 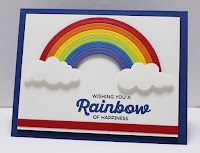 I made 2 cards with the adorable Stitched Rainbow Die-namics. It is SO fun to create little scenes with. 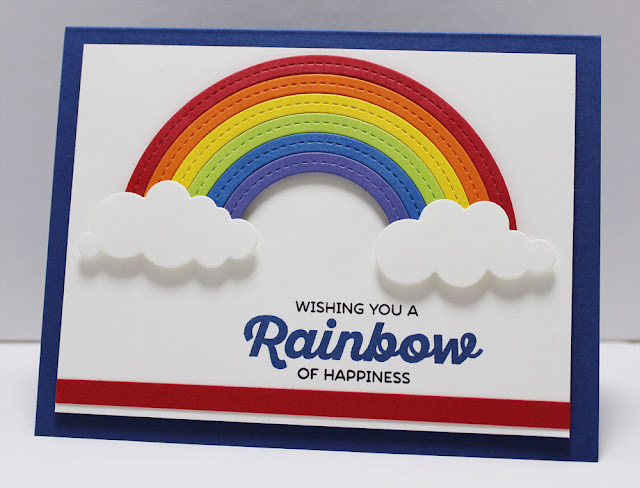 First up is this colorful creation with a traditional rainbow and cute sentiment. I love the way the sentiments are formatted so that the main word can be stamped in a different color. SO cute. 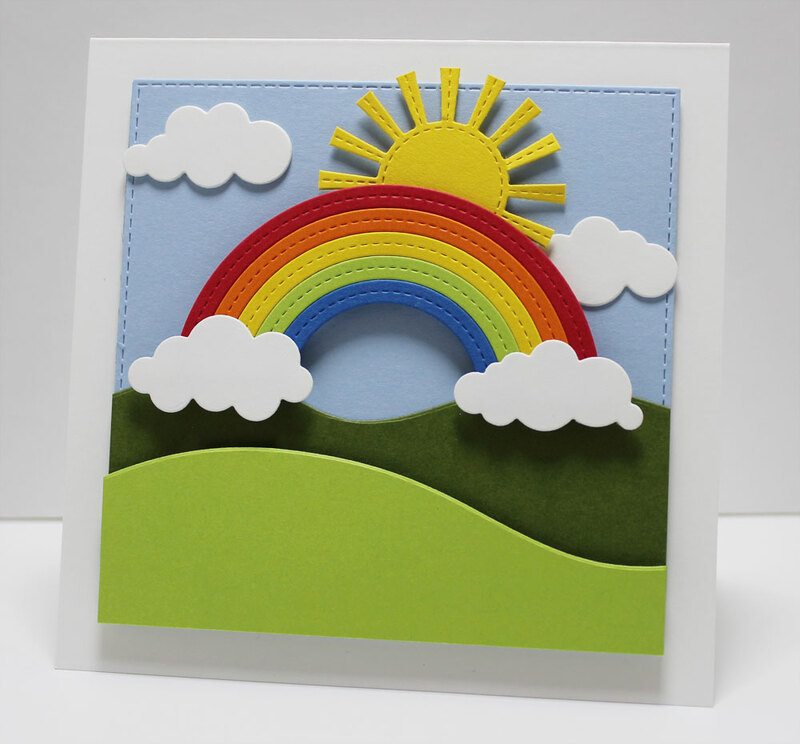 Up next is another scene, but this time I created a square card with a few layers of grassy hills and a bright sun! 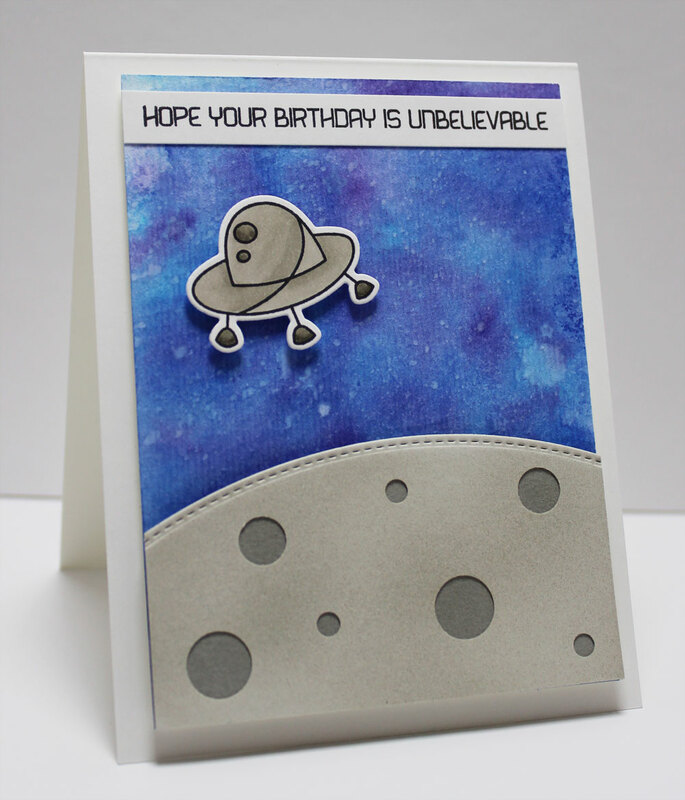 Last up is this fun card using Out of This World stamp set and Die-namics. I created a "galaxy" sky and a moon. Two wonderful ideas. Love that rainbow.